First off… A moment to remember the lives of those that were lost 9 years ago today…9 years ago today we were ticketed to fly out of SFO on United/Varig airlines to go to Brazil….We didn’t fly that day..
We’re packed and ready to fly. 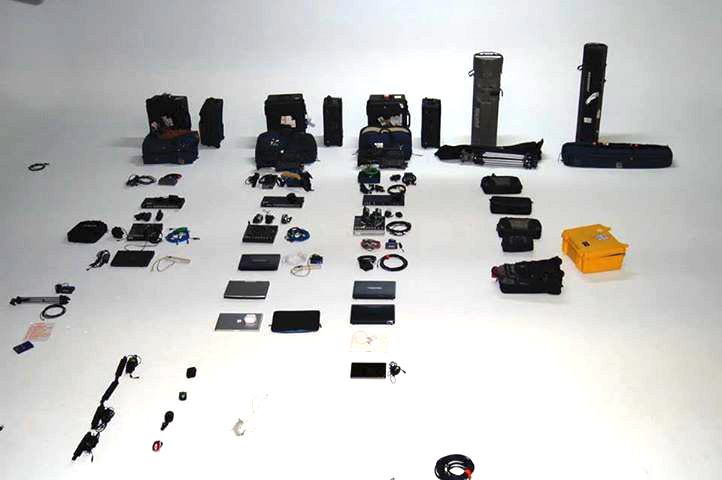 If you didn’t see it before, Check out how we pack! Crew is off to DC for a 3 day webcast. Then on to Chicago. We’ll be webcasting audio only in a couple of rooms and Audio/video in the main room. We are going to be testing some of our new code / feature developments in our media portal for the Archived webcast (after the event) for this session. We are starting final testing of a “DIY” webcast presentation builder. That’s not all the project entails.. but…more on that later.. This will be useful not only in our workflow, but it gives clients the ability to build, and edit synced webcasts themselves with just a minimum of skill. Not to different then using iMovie or Windows Movie Maker, and even simpler. 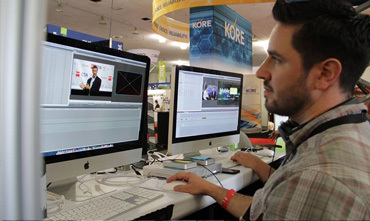 We have the ability to edit the synchronization of the video and slides online in the event that they change or we want to tighten up the archive in comparison to some mistakes the presenter might have made in the live situation with the slides. We work remotely on our webcasts. Content is captured and created onsite, It is on the web. Accessed by the crew onsite and from our developers desks, where ever that my be. We want our clients to be able to do this themselves if they wish. After we shoot the HD video and upload your video you go ahead and add your slides, create a quiz, assign it to users. Release it. Track access, set minimum testing results. Gernerate historical records of the users training. Our client this week will use the access to the webcasts to direct online viewers as well as onsite attendees to training programs for Continuing Education a nd Certification. The video content will be a component of the training. We build a seriese of quizzes, and create reading materials. Before the event users login and read the content. then they participate in teh online Live webcast. Q&A, Polls, discussion. After the video/live presentation the users login, and take the test generating a report and are awarded a certificate (in this case). Back at the studio we are deep into development of the full media portal that will be our SaaS offering for the DIY content and learning management market. Targeted at event, corporate and association models. 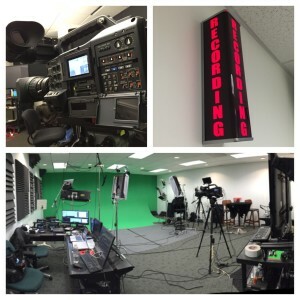 Today most webcasts are used for some form of training. Just how well webcasting is suited for this has finally become undebatable. It.is now crystal clear. The way in which people collaborate and communicate today and the tools and services that allow this are no longer whiz bang technologies. It’s part of the fabric of how we work and live. VoIP, Broadband, mobility and messaging, texting, streaming video… It’s here and its staying. Using video and the social interaction on the web makes for high value training materials. Live or produced Video, Synced video presentations, audio, multimedia, as well as your Word docs, PowerPoint presentations, external links, Quizzes that you build online. We have tools we use to build these for ourselves. Now we are working hard to make this something that anyone can use. Add User Management so that you can create teams, departments and license groups and now you have a full social Webcast and Learning System. More then an intranet, accessible from anywhere. Well, back to the webcast.